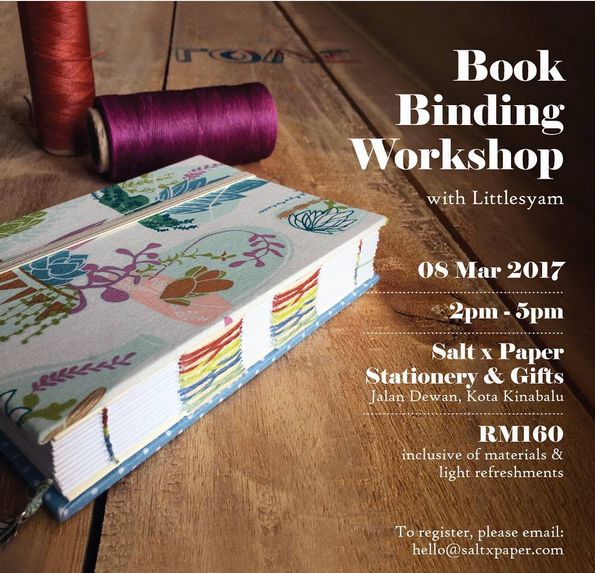 I am honoured to be invited to organise the book binding workshop at Salt x Paper, Kota Kinabalu. The registration to be emailed to hello@saltxpaper directly. I am excited and look forward for the day to come.